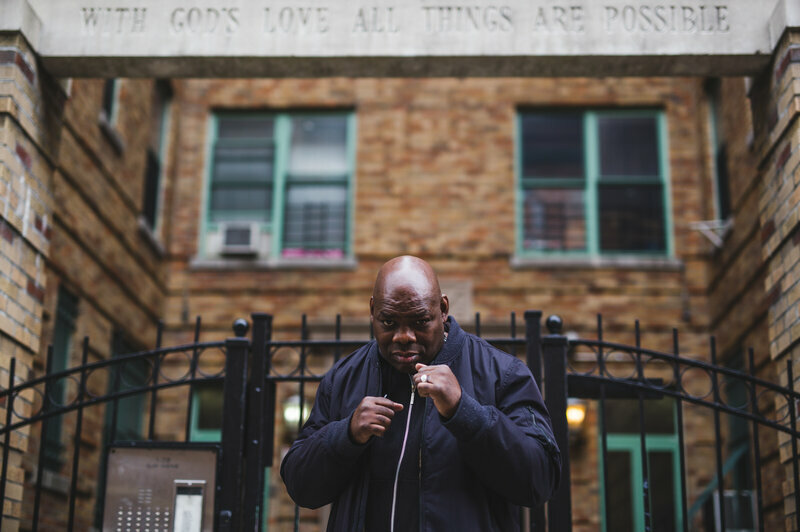 Former professional boxer, Iran Barkley, poses in front of his Bronx apartment complex. Barkley, a former WBC middleweight champion, became homeless after facing financial troubles in the later years of his life. He currently is a board member of Ring 10 Veterans Boxing Foundation of New York, an organization that works with boxers who are down on their luck. Boxers are some of the most vulnerable athletes in sports. In the ring, they endure jabs, hooks and sometimes knockouts. Then, many have to deal with the aftermath, both the physical and the financial. In New York City, a group of veteran fighters have formed a group to support each other through the hard times. They call themselves Ring 10. Some have left the game by choice. Others were abandoned years ago by their trainers. “The sport is very unforgiving. When you produce, we love you. And when you don’t, I don’t remember your name,” says former boxer Matt Farrago, who started the group in 2010. Over the years, they’ve raised money to help members pay for groceries, checked in with fighters who are now debilitated and homebound and attended each other’s funerals. Farrago says they’re keeping an eye on would-be contenders no longer in the spotlight. 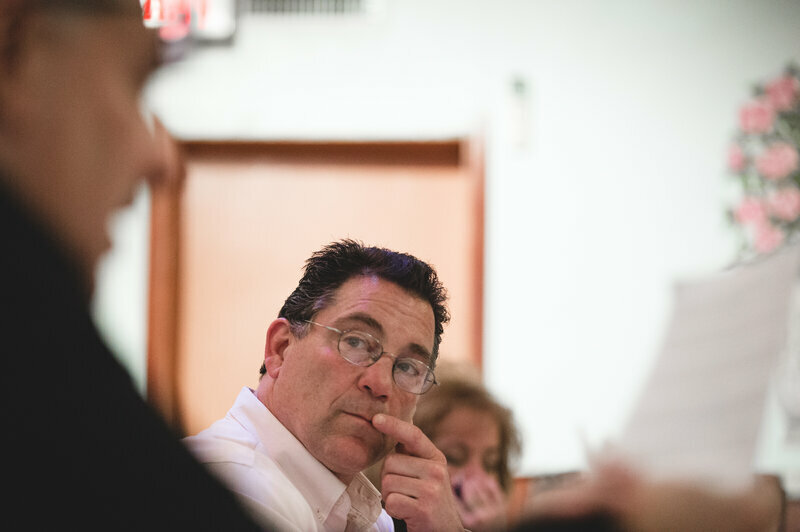 Matt Farrago, the founder of Ring 10 Veterans Boxing Foundation of New York, listens as respects are given to a recently deceased boxer. Ring 10 is an organization that helps boxers who struggle with life after leaving the ring. Some of those guys are part of their ranks too, including the World Boxing Council middleweight champion of 1988, Iran “The Blade” Barkley. In his breakout fight that year, Barkley defeated the reigning champ, Thomas Hearns, after a surprise turnaround in the third round. The match ended with blood streaming from Barkley’s eyes as his supporters lifted him into the air with his hands raised in triumph. That win was Barkley’s ticket out of the Patterson Houses, the public housing development in the Bronx where he grew up. 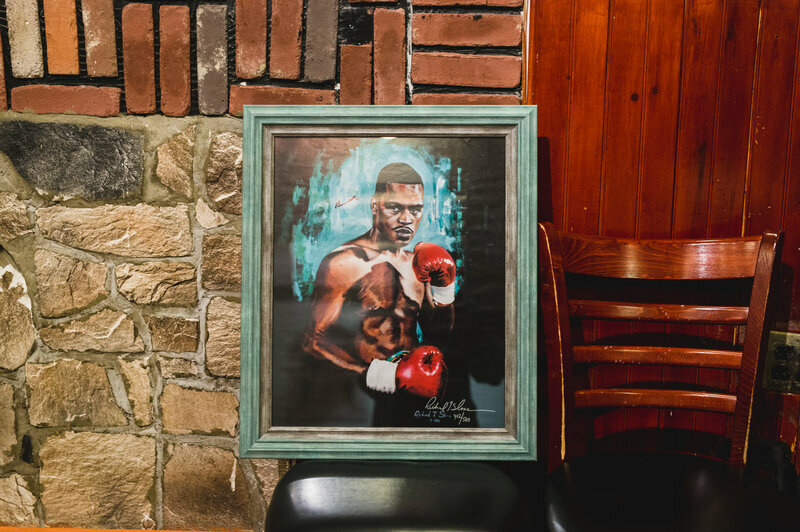 A painting of Gerald McClellan, a former WBC and WBO middleweight champion who is currently suffering from brain damage. In an effort to cover hospital expenses Ring 10 is helping raise money through the auctioning of these pieces. More than two decades later, though, he was back in the neighborhood at what he calls the “lowest part” of his life. He was homeless, sleeping in a subway station while carrying a bag of clothes and the championship belt he won from Hearns. Barkley says he didn’t manage his money well. 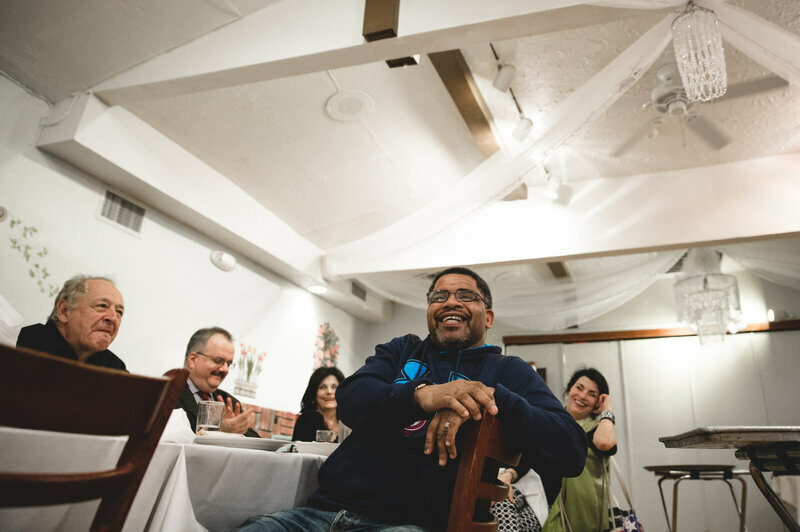 “That’s how you end up taking care of everybody else but yourself,” he says. He also puts some of the blame on the advisers around him at the time. He says many boxers — even the ones who win — end up having to fight financial troubles in the later years of their lives. “After you lost the boxing, what you do then? You say, ‘Where I go? What I do?’ You don’t have all that rah, rah, rah around you,” he explains. Members of Ring 10 got him off the streets and eventually helped him find a studio apartment. After two divorces, he got married again last year. He says he’s looking for a job and wants to write a book about his life. And on the second Tuesday of most months, you can find him having dinner his family from Ring 10 in a back room of an Italian restaurant in the Bronx. Former featherweight boxer, Tyrone ‘The Harlem Butcher’ Jackson (center), is one of several retired professionals that are helping support the Ring 10 Veterans Boxing Foundation of New York. Support groups for former fighters are filling a need that’s always been part of boxing, according to Gerald Gems, a sports historian at North Central College in Illinois. Now that boxing’s not as popular as it once was, Gems says there’s even less public concern about how it’s run. Farrago says he wants to form a union for boxers. Until then, he’s on the lookout for more lost fighters.